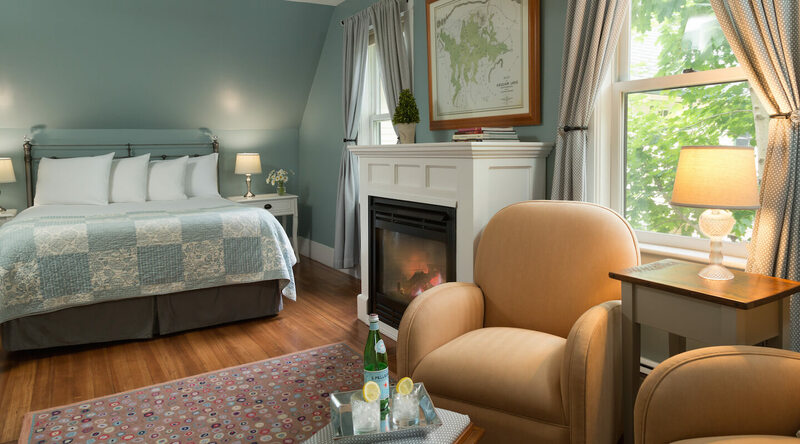 This sunny upstairs suite with queen bed, gas fireplace, and seating area is a favorite of guests. Decorated in blues and greens, it overlooks the stunning wooded grounds. This room also features a private bathroom with shower, flat panel TV, ceiling fan and air conditioning. 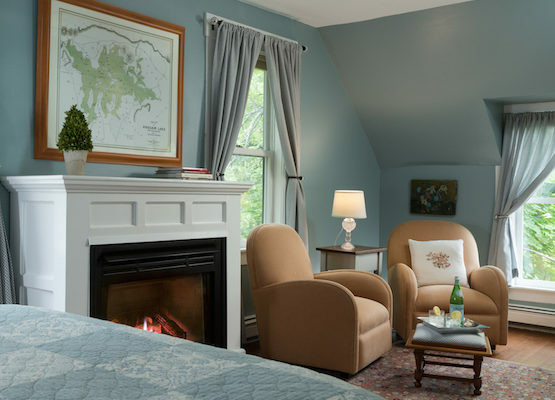 View our New Hampshire vacation packages and book a vacation of a lifetime.